Complaints from servicemembers regarding their debts are common in Consumer Financial Protection Bureau’s database, and the government agency recently posted a blog listing the rights of persons whose military service is currently active. Complaints from servicemembers actually happen to be the fastest growing category of debt collection issues within the CFPB’s database. Because of this the financial advocacy bureau recently released a brief guide instructing servicemembers on how to deal with debt collectors, which can also serve as a knowledge tool for anyone who works with servicemembers, such as landlords. Holly Petraeus, head of the bureau’s office of servicemember affairs, noted that debt has placed the careers and credit scores of those who serve in the military at risk in the past, and asked whether it is necessary for debt to be so dangerous to servicemembers’ jobs. Since July 2013, the bureau has received over 11,000 complaints from servicemembers, veterans and military families. Some of the situations presented to the bureau thus far include circumstances in which debt collectors have threatened members of the military with reporting to their commanding officers that they have unpaid debt, having the individual’s rank removed or having security clearance taken away. These threats are common, and have the potential to really scare some people, but they don’t always hold true, and service members should be aware of their rights in situations such as this. 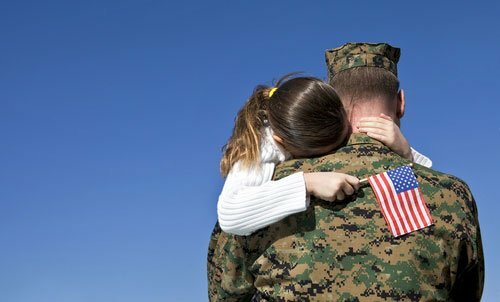 Legislation such as the Servicemembers Civil Relief Act exist to protect people’s rights when they are on duty, and part of the CFPB’s purpose is to enforce action against persons and institutions that violate that act. The CFPB lately has placed extra focus on serving specialized segments of the population such as students, older persons and servicemembers, and as a part of that effort Petraeus has released this guide on debt collection for servicemembers. For example, Petreaus explained that debt collectors have no right to contact a servicemember’s security manager, nor do they have the authority to influence security clearance. Remember that if you’re contacting a servicemember you cannot bring his or her security clearance into the discussion. As long as the individual is able to show a history of living within his or her means, some kind of responsible effort to take care of unpaid debts and successfully disputes wrongly attributed debts, your options as a debt collector are fairly limited. Through the last year the CFPB has made a number of statements on the ways in which debt collectors take advantage of servicemembers, adding its intentions to ensure that these predatory actions stop under the watch of the bureau. Petraeus’ advice for those on active duty is the latest in the CFPB’s efforts to protect those in the military. As the bureau pushes on with this initiative, debt collectors should keep in mind that they are limited in what they can do because of legislation such as SCRA, and overstepping legal boundaries could end up costly. This is why it is essential to verify active military status, in order to determine whether or not rules such as SCRA apply.